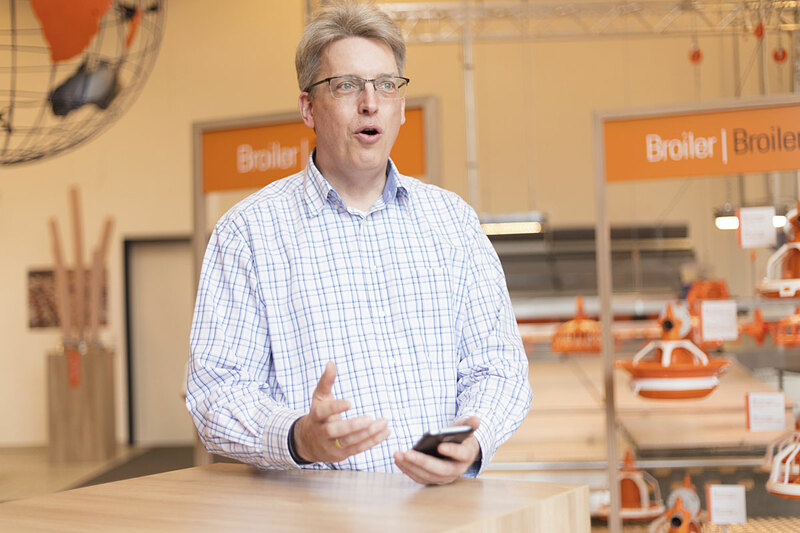 During his interview with Pluimveeweb.nl, Big Dutchman product manager Daniel Proetel explained how important digitization is for modern animal husbandry. No more paper chaos: the FarmBookpro app developed by Big Dutchman turns the smartphone into a digital batch card. Data as a method of payment for better advice? According to Daniel Proetel, this concept might just be the near future. 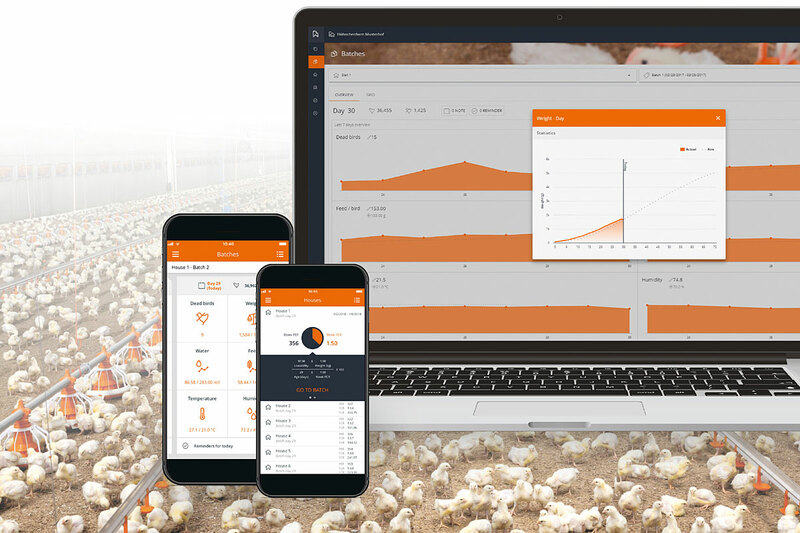 The Big Dutchman product manager for innovative software solutions provides a fresh perspective on the development of digitization and data exchange in poultry farming because of his experience outside of the agricultural sector. What do digitization and data have to do with the agricultural sector and housing equipment? “I was very surprised when Big Dutchman called me a year and a half ago, asking whether I wanted to work for them. I have mainly worked in information technology and telecommunication in the past and much experience in this area, so when Big Dutchman said that they manufacture products from plastic and steel, I wondered why they would need a computer technician like me. At that time, I did not know that animal husbandry, and poultry farming in particular, is so technical and produces so much data. That aroused my interest. So there are still a lot of opportunities for the agricultural sector regarding digitization and data? Where does the trend of digitization in the agricultural sector come from? Is there a need to go along with the digital development of other sectors? But is it not true that digitization is also used to optimize production in Europe? “Yes, but the reason and the approach are different. In China and the rest of Asia, the main cause is growing prosperity. There is more demand for animal proteins and farmers want to produce as much of it as possible. In Europe, on the other hand, you also need to consider public acceptance and restrictive measures of authorities regarding animal welfare and the environment. So in Europe there is optimization within a specific framework. In terms of digitization and data exchange, the agricultural sector has reportedly been lagging behind. What is the situation now, are we catching up? “I would say that, in general, we have been lagging behind other sectors for about five years now, but that depends very much on where and how you look. When I started to work for Big Dutchman, I discovered that there was a lot of ‘dedigitization’ on farms. For example, all kinds of digital systems collect digital data on the farm computer. And then a farmer uses a pen to add this data to a batch card. Why are farmers so careful with sharing their data? “Because we have not yet been able to convince farmers that their data is safe in the agricultural value chain. I believe that data can contain a lot of secrets, such as company information that farmers do not want to share with others for all sorts of reasons. Nobody wants to share more than is absolutely necessary. Which is a pity, because data can be extremely valuable for the next steps in the value chain. But I also think that many farmers do not dare to look further for fear that their data might be abused. How can we convince farmers that sharing data is useful, and reassure them that their data is safe, even with other parties? "FarmBookpro is an app that provides poultry farmers with a simple way of documenting and analyzing their production." What is Big Dutchman’s reaction to digitization? You mentioned the FarmBookpro app. Can you tell us more about that? “FarmBookpro is a new app that provides broiler, duck and turkey farmers with a very simple way of documenting and analyzing their production. Temperature, humidity, mortality, feed and water consumption – everything can be recorded. The only thing the farmer needs is his smartphone. Based on the data recorded by the farmer and his staff, FarmBookpro automatically creates batch cards and generates PDF overviews that can be printed out or emailed. “All data is displayed as graphs on the FarmBookpro website. The farmer can easily compare his current values with breeder recommendations or previous batches. 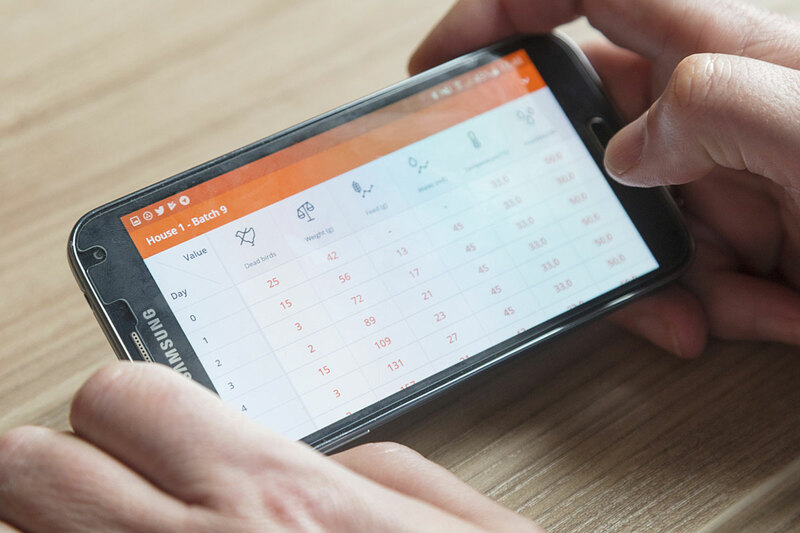 Keeping track of his farm’s production efficiency and all statistical data becomes very simple, including the required documentation. This saves times and allows the farmer to concentrate on what is most important: his birds. How have farmers reacted to FarmBookpro? “One farmer who tested our FarmBookpro app decided that he would give his vet access to his data. The farmer no longer had to fill in batch cards. Moreover, the vet had to visit less often and the visits became much more effective. “Another FarmBookpro customer showed me his daily key figures and said: ‘I collect all the data from the chicks starting at their birth, I write them down, I grab a cup of coffee and I search for connections between the figures for an hour.’ So I asked him, ‘Why an hour?’ Then I showed him his key figures, but in a graph. And immediately he saw all the connections, which he would otherwise spend an hour on. People are visually oriented, and that is what we are doing: visualizing data. "Data should always be in the hands of the farmer." What do digitization and data exchange look like in an ideal world? “I would say that we will have systems in the future where every system communicates and shares data with every other system within the value chain, including that of parties outside the farm, such as slaughterhouses and supermarkets. This way we can see exactly where our food comes from and all systems are optimally attuned to each other. So data as a kind of payment method?